Social influencer marketing is more accessible than ever to brands. As one of the most effective forms of promoting a business, it’s increasingly used as a means of increasing brand awareness, gaining more traffic and more engagement, and boosting overall sales. With social media, though, social influencers can be very diverse—not necessarily in terms of their niches, but rather in terms of the size of their audience and their popularity. Most brands tend to go for the big names in their respective industries—after all, they’re very well-known and respected, and they could possibly have hundreds of thousands, if not millions, of followers just on social media. That being said, what if you could get amazing results with smaller, micro-influencers? Or even regular people who have a decent following on social media and who hold their own influence, only over a smaller crowd? There’s no denying the power and influence of a macro-influencer with a large audience of loyal followers. But, largely because of this very reason, it’s also more difficult and more expensive to employ macro-influencers to help promote your business. To give you an idea of the kind of numbers involved in using macro-influencers, say you have a clothing brand and are looking to use one of the many Instagram female models and top influencers to help promote your clothes. You could be looking at an investment of over $1000 per single Instagram post, while for male models, you could potentially have to shell out around $700 per promotional post. And if you want to go for the biggest names in the business, then you’re probably looking at prices of hundreds of thousands of dollars per post. 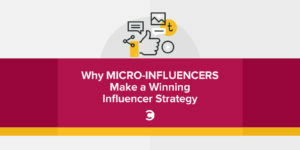 Micro-influencers, though, are much more accessible, and with enough work, you can get similar results—improved brand awareness, more traffic to your website, and more engagement on social media—but at a much lower price. Micro-influencers are social influencers that have an audience of about 10,000 to 100,000 followers. They have a loyal following, although smaller, but it doesn’t affect the influence they hold. In fact, as they have fewer followers, this also usually means that they are much more engaged with them on a day to day basis, compared to some of the hugely influential people with hundreds of thousands of followers who couldn’t possibly have the possibility to engage with their followers at a high rate. Another thing that happens when an influencers’ popularity grows and they start getting more and more followers is that their audiences broaden exponentially. Micro-influencers, on the other hand, have a much more compact, targeted audience, which is much more useful when you’re actually selling something. For example, if you look at some of the biggest gaming vloggers in the world, like PewDieDie or Markiplier, they have huge audiences, of millions of subscribers. When we’re talking about audiences this size, you get people from all walks of life, with all kinds of interests and passions. The more famous someone becomes, the more attention they get from a wide variety of people—people that otherwise probably wouldn’t have had any interest. Influencers, usually, are thought leaders in their respective niches. They tend to stick to a certain niche, and their popularity grows because of their thoughts, views, and expertise in that particular industry. Before you can start an influencer marketing campaign, you need to establish what your goals are. Do you simply want to raise brand awareness? To get more traffic to your business blog? Do you want influencers to help promote a product so as to drive more sales? Once you’ve established these goals, you can start looking into what micro-influencers you can use. When researching influencers (in general, not necessarily just in the case of micro-influencers), these are the main things that you need to look into. What niche would you put them into? What sorts of subjects do they cover and talk about the most? What is their area of expertise, if any? While an influencer’s number of followers definitely has some bearing, it’s much more important to look into the amount of engagement they receive, as well as give. Check to see how often people engage with these influencers, as well as the engagement and response rates of the influencers themselves. The more they engage, and the more genuine the engagement, the better. This is one of the big benefits of using micro-influencers. Because they don’t have as many followers, they can afford to interact more with them. If an influencer has a lot of followers, but they’re rarely engaging with them, or their followers aren’t engaging with them, then they won’t be of much help to your promotional campaigns. 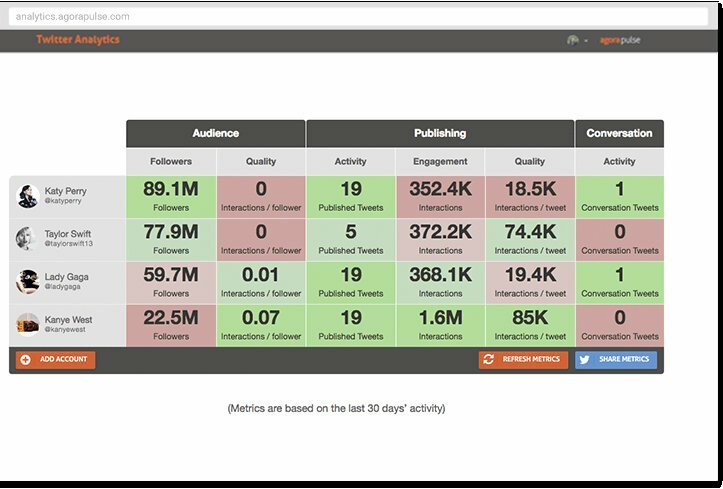 You can use this Twitter Report Card to not only get a quick snapshot of any account, including their followers and engagement, but you can also compare several accounts at the same time. Who forms their audience? Do you share a similar target audience? Is their audience in the same location you’re operating in (where applicable)? When using influencers, the end goal should be to reach more of your target audience, so that you can raise awareness of your brand and make more conversions. Because of this, if an influencer doesn’t share a similar target audience, then they won’t help much in achieving your ultimate goals. For example, if I were to use to use influencer outreach to promote a digital marketing business to entrepreneurs, I wouldn’t get much value from using an influencer whose target audience is formed by corporations. Even though they might cover the same subjects, they are targeting a different audience. Most likely, I won’t get many inquiries from my target audience based on this promotion. You need to look beyond the subjects they usually cover and the niche they are in to make sure you have a very similar target audience. What kinds of links, tools, apps, and so on are they sharing with their audiences? If, for example, your goal from influencer marketing is to raise traffic to your website, then you should look into the types of links they tend to share to get an idea of what types of content they prefer. The more you understand what types of content they like, the better you will be able to create content that they would want to share and, therefore, increase your chances of getting your own content shared by them. How authentic is the influencer? People tend to be much more trusting of those who are authentic and have an organic approach to promotion. If an influencer is very aggressive in the way they’re pushing a product or a brand, more often than not, this will put off their followers. This could even impact the advertised brand negatively. As an example, look at Joe Pulizzi’s Twitter account. Although he does actively promote his blog posts, he also shares other information that might be relevant to his audience, he live tweets from the events he attends, and, in turn, he always receives likes and retweets from his followers. If you take a look at his “Tweets & Replies,” he also takes the time to engage with other users and respond to any of their questions. Now that we’ve gone through what to look for when researching social media influencers, here’s how to actually find them. If you’re using social media often, then you’re probably already aware of some of the influencers in your niche. However, for many influencer marketing campaigns, you’ll need to find and reach out to a much larger number of influencers. There are quite a few options for tools you can use to find influencers. First, start by looking at your own followers to find influencers that are already following you, as well as any followers that have a decent-sized audience (in the thousands) that is very engaged with them. For this, you can use something like Agorapulse. As you can see from the screenshot above, any influencer or brand ambassador in your list of followers is tagged as such, and they are ordered in terms of their social media popularity and the size of their audience. If you can find any relevant influencers this way, you have the big advantage of already being connected with them, which means it will be that much easier to get them on your team. 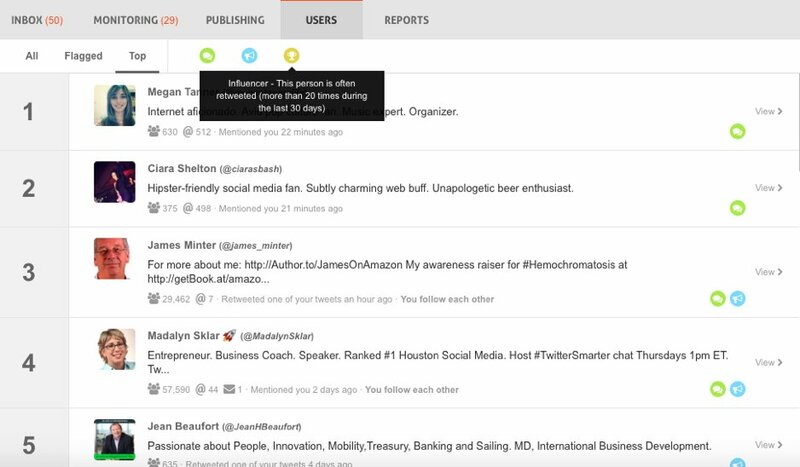 To find more influencers, there are many different tools you can use. Some of the most popular include BuzzSumo (for influencer research) and GroupHigh (for influencer research and for outreach). 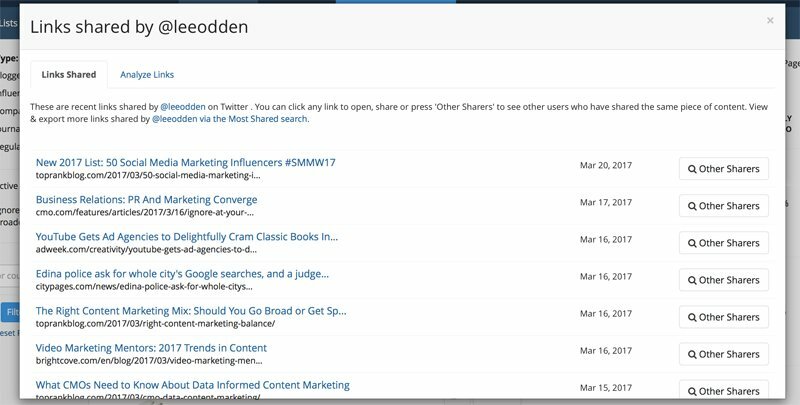 Once you’ve compiled a list of influencers to use, you can use a tool like the aforementioned GroupHigh or Buzzstream to start reaching out to them. Micro-influencers and regular people can be a highly effective promotional tool. So long as you share a similar audience and they are actively engaging with their followers on a daily basis, they can be just as useful as a macro-influencer. 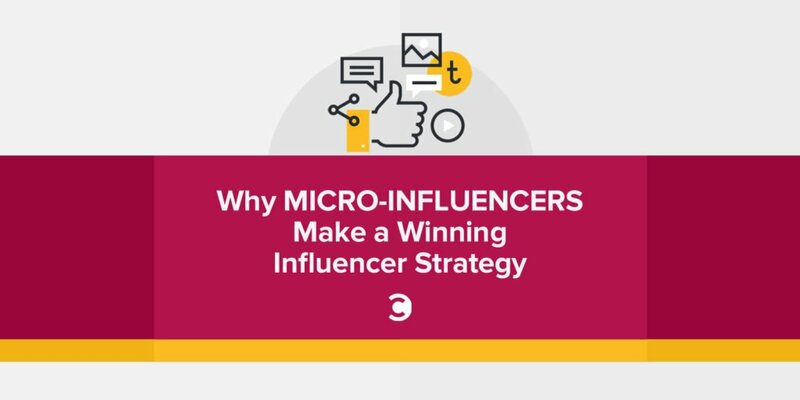 Are you using micro-influencers to promote your business online?